On Tuesday we were invited to the Start-Rite Press Party in South Bank, London. The Little Man was invited to model some shoes on the catwalk. It was an invitation I just couldn’t refuse. 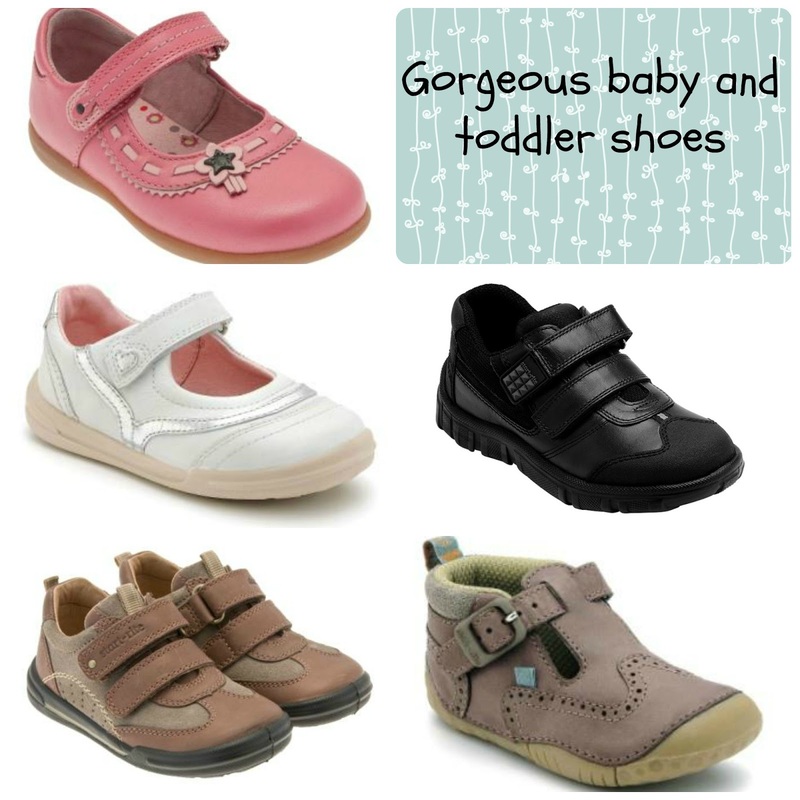 I’m not a shoe person myself but I love children’s shoes, and I knew the Little Man would be fantastic on the catwalk. We took the train to London, Eldest Daughter came along too. We decided to go without the buggy! The Little Man is a great walker but he tends to run/wander off, so I used his harness and reins. Out of all my five children I’ve never used reins before, I just don’t like them, but I’ve never had a little monkey like the Little Man and I figured his safety is more important than me not liking walking him like a dog. It turned out it was a good idea, so much easier to get around and on and off transport without a buggy! The only time I had to carry the Little Man was when he fell asleep on the train home and I had to carry him to the taxi. The Little Man waiting for food and enjoying his noodles! After lunch we headed up to the event and found they had given the Little Man my name and he had girl shoes to model. Ooops! The Little Man didn’t mind though, he loves shoes and it doesn’t matter if they are his sister’s, his dad’s, his mum’s, he’s always putting them on. 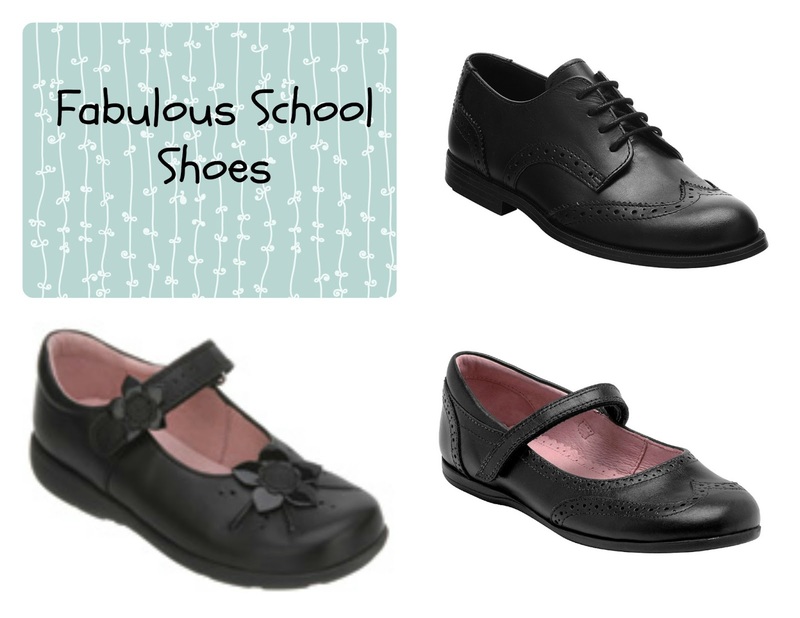 These were lovely light blue brogue type shoes, so you couldn’t even tell they were really for girls. 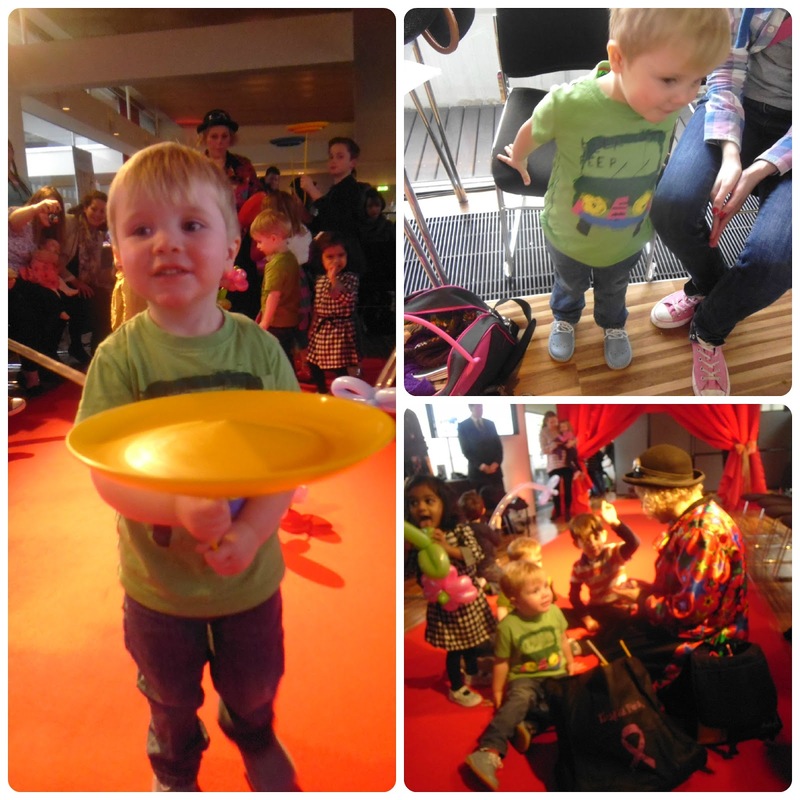 Then came the catwalk and the Little Man was a star, I’m sure you’ll agree. In this little video Eldest Daughter was holding the camera and he ran straight to her, as was the plan. What we didn’t plan was that he wouldn’t want to return to mummy afterwards. As well as the modelling there was a lovely clown lady with balloons who kept the kids really entertained, food and drink and, of course, shoes. We had a lovely day and would like to thank Beccie and Start-Rite for inviting us. Disclaimer: I was invited to this event because Start-Rite Shoes are the sponsors of the School Days category of the Mad Blog Awards of which I am a finalist. The Little Man was given a voucher for a new pair of Start-Rite Shoes. On Thursday afternoon’s school run I couldn’t believe how cold it was, I could tell that snow was on the way. We’ve had a fair bit of snow lately I really didn’t expect more. In fact when clearing out the understairs cupboard the other day I was tempted to box up and pack away the wellies for next winter. I’m so glad I didn’t! Friday morning we woke to tons of the white stuff. Kate Bush has 50 words for snow, including vanilla swarm, eiderfalls, erase-o-dust, whippochino, but the words that came to my mind that morning are unprintable. Enough already, it’s supposed to be Spring! Still, the world carries on, and fresh snow is beautiful, I love the way it covers the muck up. So we got ready and I took the kids to school. The Little Man took a little longer than usual, he’s still completely in awe of the snow and has to stop every 10 seconds to feel it with his gloved hands. Star decided to make Gruffalo prints in the snow all the way to school which was lovely, only I didn’t have my camera with me. By lunchtime I’d had a call from the school to pick up Boo as she wasn’t very well. I’m not sure what was wrong with her but her recovery was pretty quick? In the afternoon I have to pick up Little Man at 3p.m and the girls at 3.30p.m. I usually take Little Man for a walk to the shops to fill in the time, but it was so cold I came home and begged Dad to go and pick up Star so I didn’t have to go out again. It carried on snowing. By Saturday morning we had tons. Star looked out of the window and said, ‘wow, it’s a winter wonderland out there’ which is fine, but it’s supposed to be SPRING! 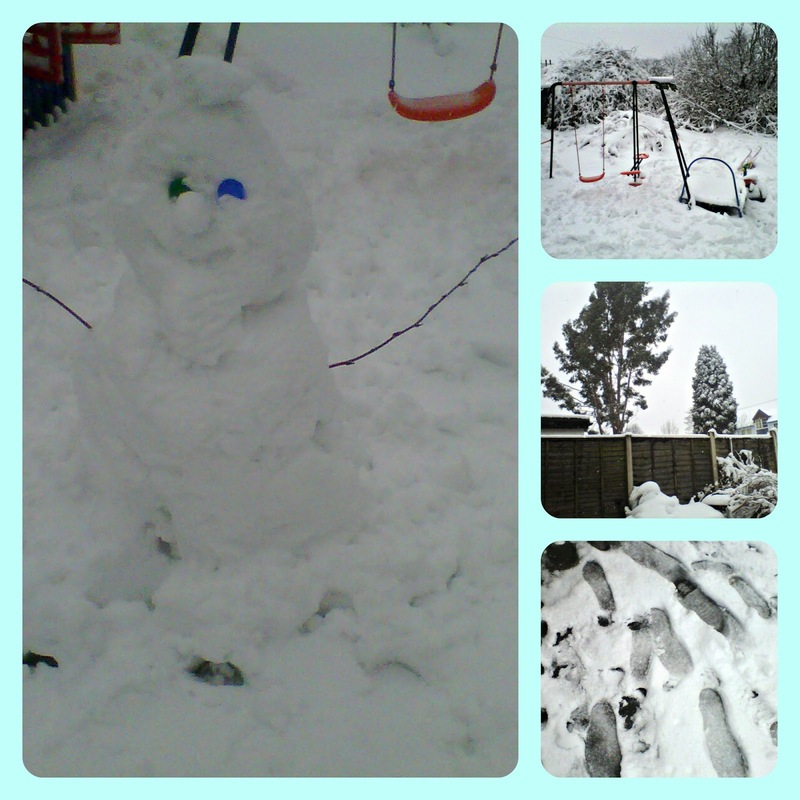 So we made yet another snowman. This one was named Snowy by the Little Man, original I know, but he is only two! It’s almost tea time now and still snowing. Will it ever stop? Sorbet deluge, boomerangablanca, deamondi-pavlova, icyskidsi…..I love Kate bush. Here’s a few photo’s, no kids, but they were there at some point. P.S. It’s the last few dates to get your votes in for the MAD Blog Awards if you haven’t done so already. Raisie Bay is amongst the finalists in the Schooldays category, I’m still pinching myself I can’t believe it. Do take a look and share some love for the bloggers. 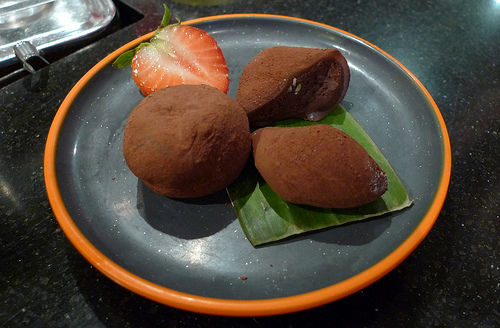 I may have mentioned in previous posts that I like Japanese food and that I often lunch out with Eldest Daughter at Yo Sushi, well, one of the dishes we always end on is chocolate mochi. This is a delicious rice pastry dessert filled with soft chocolate and it just melts in your mouth in a gloop of yumminous. So, I figured, how difficult could this delicious dessert be to make? First problem was the rice flour, it has to be sweet rice flour or glutinous rice flour, which is not actually sweetened and has no gluten in it, but actually cooks sweet and sticky. Confused? It doesn’t get any better. Now go find me some Google? All my favourite online shops stock gluten free rice flour!! To buy the ‘proper’ stuff you need to go to a specialist Asian store and buy Mochiko (Mochigomeko) and this can be pretty expensive. There are alternatives but you need to be able to read Japanese or have a very helpful English speaking shop assistant. Unfortunately, I wasn’t prepared to for out so much money for my yummy so I decided to do some research and maybe come up with an alternative. What I did find was that ground semolina had almost the same consistency as rice flour but I wasn’t sure it would hold up in a pastry. So I had a go using a mixure of rice flour (gluten free) and semolina. It wasn’t a huge success. I did get something that resembled Chocolate Mochi but the taste wasn’t quite right. The rice pastry wasn’t sweet or gloopy enough and the cocoa powder dusting was yuk! The Yo Shushi ones are dusted with cocoa powder that tastes sweet and chocolately, but my cocoa powder tasted bitter. Eldest Daughter suggested that drinking chocolate would probably give the right effect. What did I learn? That Yo Shushi are the kings of Chocolate Mochi. That if you want to make something right sometimes you have to spend a small fortune on the ingredients. Cocoa powder is yuk! 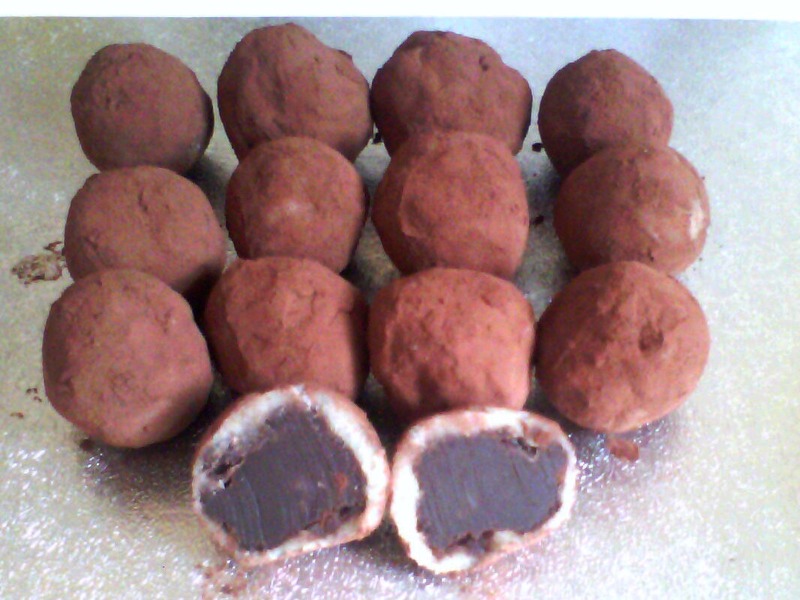 I make excellent chocolate truffles! This is what I used for the filling and that was the only saving grace, every single mochi was eaten (not by me) purely for the chocolate truffle inside. What would I do differently? I will make them again (or just stop at the truffles) but if I can’t find a decent Asian store with sweet rice flour I will probably try a half and half mixture of rice flour and semolina. I will put some cocoa powder in with the rice pastry for a more chocolatey experience, you can never have too much chocolate. I will dust them with drinking chocolate, not cocoa powder. 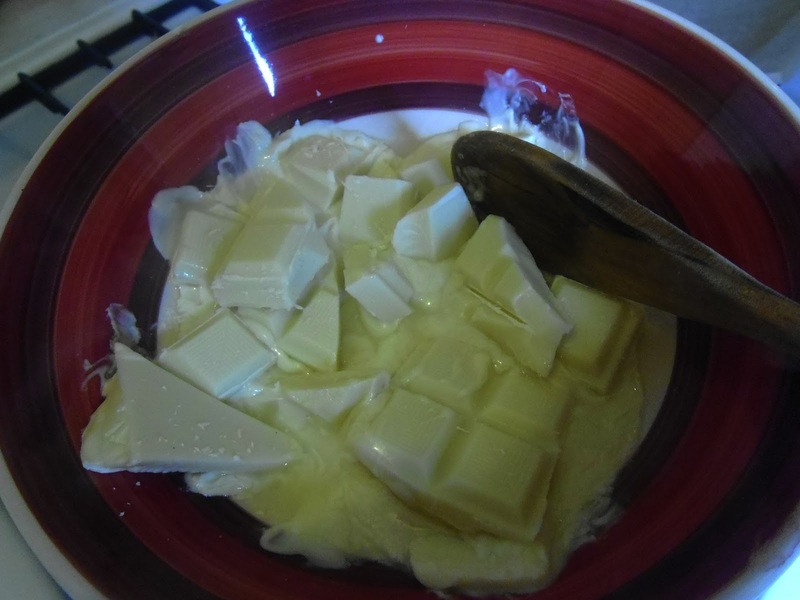 I’m not going to share my recipe now as it was not a big success, but be warned, I’ll be back when I’ve mastered this tricky icky chocolatey dessert. In the meantime, here’s a pic of my effort. This months Center Parcs challenge is all about chocolate and sweets, particularly as it’s Easter soon. 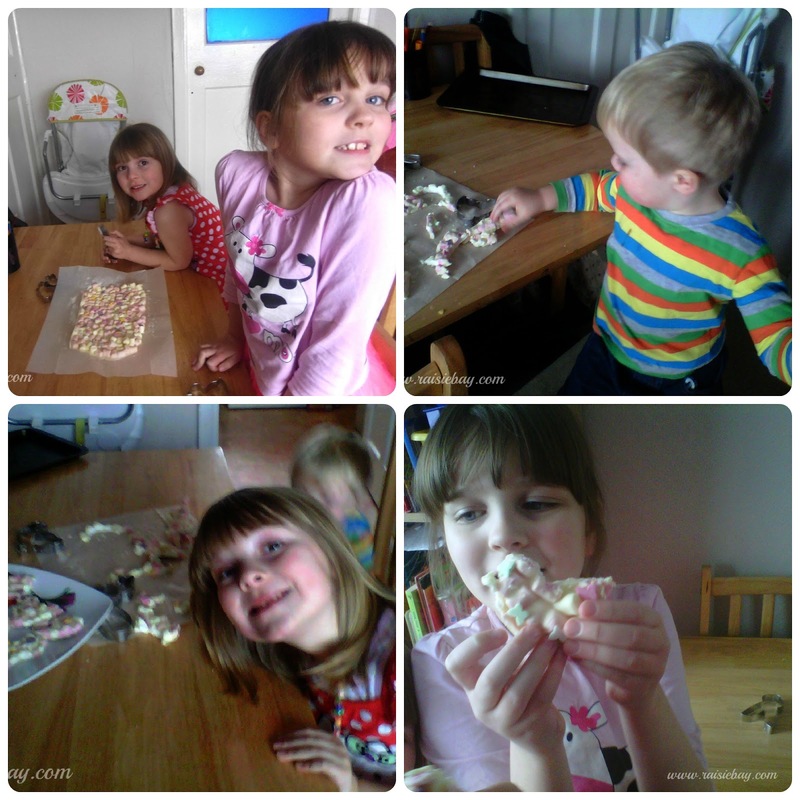 I’ve got my kids to work and together we’ve made some delicious Marshmallow bark and cut it out using Easter shaped cookie cutters. We had lots of messy fun as you will see. First you need to melt the chocolate. This can be done in the microwave in short bursts, stirring in-between. I don’t own a microwave so I did mine in a bowl over a pan of hot water, stirring frequently. When the chocolate is melted remove from the heat. prepare a long tin, like a swiss roll tin, by covering it with greaseproof paper. Add the marshmallows to the chocolate and stir through. 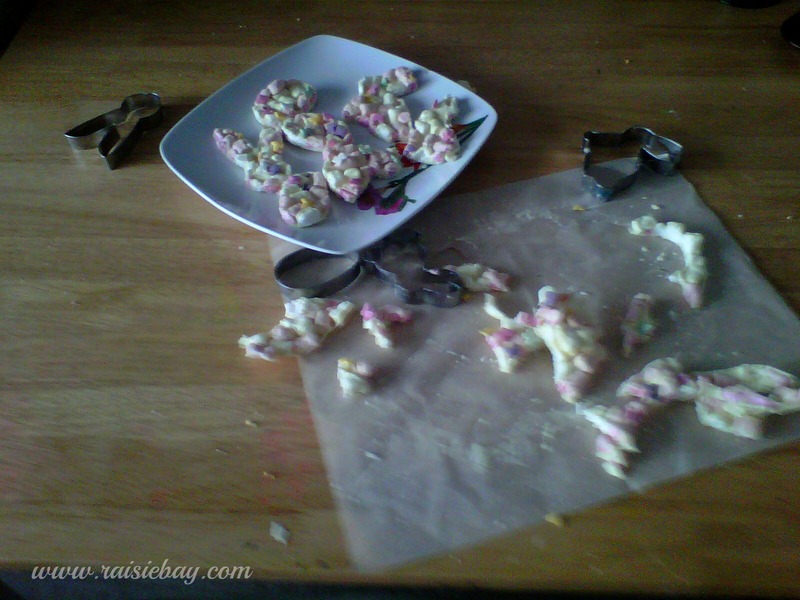 Put the mixture onto the tray and sprinkle over the sprinkles. 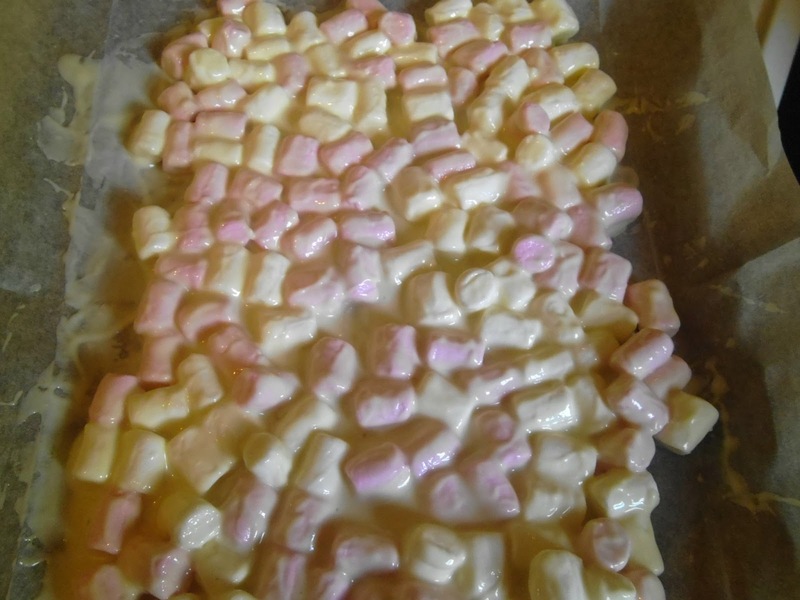 Work quickly because you don’t want the marshmallows to melt. Quickly put the tray in the freezer for 20 minutes. So you see, these are simple and so much fun to make. 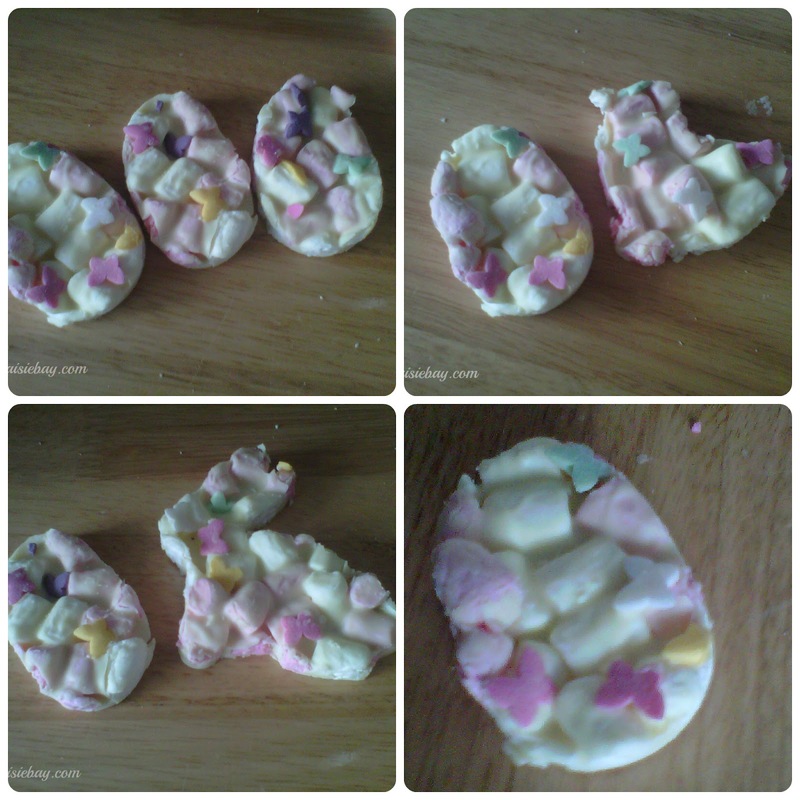 Here are some of our finished Easter treats, and they tasted yummy! Why don’t you join in? Post up your yummy Easter treats and enter the competition over on Tots100 and you could win a family break at Center Parcs.